Anterior visceral endoderm (AVE) cells are extra-embryonic cells required for specifying anterior neural patterns by inhibiting primitive streak formation in the mouse embryo. The AVE cells are induced at the distal tip of the 5.5 dpc embryo and then migrate to the prospective anterior, where they impart anterior identity on the underlying epiblast. 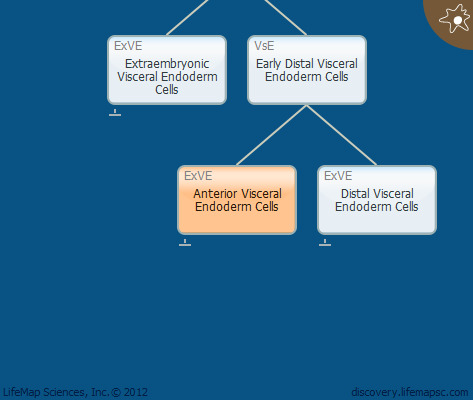 The extra-embryonic ectoderm (ExE) restricts AVE induction to the distal tip of the mouse embryo and is required to initiate the migration of these cells to the prospective anterior.